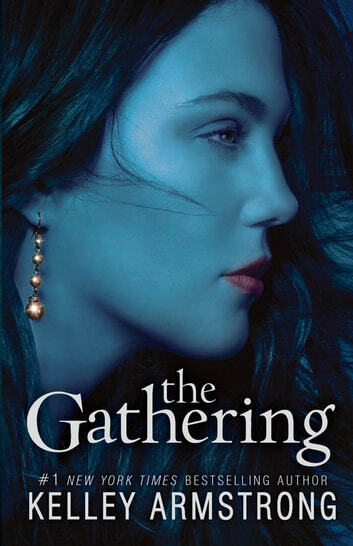 On the heels of the wildly popular "The Darkest Powers" series comes the first in another supernatural YA trilogy from New York Times bestelling author Kelley Armstrong. Maya lives in a small medical-research town on Vancouver Island. How small? You can't find it on the map. It has less than two-hundred people, and her school has only sixty-eight students — for every grade from kindergarten to twelve. Now, strange things are happening in this claustrophobic town, and Maya's determined to get to the bottom of them. First, the captain of the swim team drowns mysteriously in the middle of a calm lake. A year later, mountain lions start appearing around Maya's home, and they won't go away. Her best friend, Daniel, starts getting negative vibes from certain people and things. It doesn't help that the new bad boy in town, Rafe, has a dangerous secret — and he's interested in one special part of Maya's anatomy: Her paw-print birthmark. Wow...on the edge of my seat! Can't wait for the next book!